Wendy Sherman has been in publishing more years than she cares to admit. She has held senior, executive positions at Simon & Schuster, Macmillan, and Henry Holt. During her time at these major publishing houses, she worked in the areas of subsidiary rights, marketing, sales, and editorial. 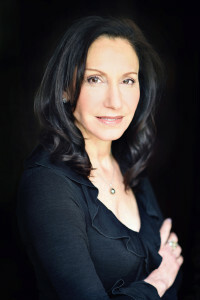 With a desire to work more closely with writers and help develop their careers, she founded Wendy Sherman Associates Literary Management in 1999. Wendy loves voice and story-driven fiction. She is interested in women’s fiction that hits that sweet spot between literary and mainstream and has a passion for Southern voices, historical dramas, suspense with a well-developed protagonist, and has a weakness for family secrets, mother-daughter relationships, and realistic love stories. She is also interested in non-fiction with a unique twist by authors with a strong, well-developed media platform. Memoir, narrative non-fiction, practical and prescriptive, self-help and mainstream psychology are also general areas of interest. Strong categories for her include parenting, relationships, spirituality, lifestyle, pop-culture, and just about anything to do with food or dogs. Wendy is on the Board of Directors of the Association of Authors Representatives (AAR) and a member of The Women’s Media Group. 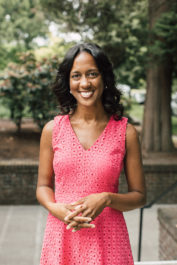 Cherise Fisher began her career in publishing as the assistant to the Editor-in-Chief of Dell Publishing a month after graduating from Yale University. Over the course of her twenty-five year career, she worked as an acquiring editor at Simon & Schuster and the Editor-in-Chief of Plume. 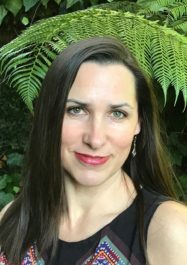 As an agent, she is interested in working with novelists who have several compulsively readable yarns in their head and are committed to perfecting their craft as storytellers. 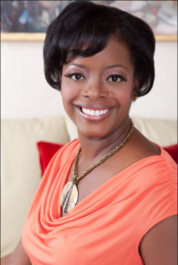 She will advocate for memoirs that uncover the diversity of human experience, and take on non-fiction writers who are experts on a variety of topics such as personal development, health and sexuality, racial identity, Christianity and spirituality, diet and fitness, African American history, and pop culture. Her intention is that all the books she helps bring into the world are relevant, enduring, and help readers maximize joy and productivity in their lives. Nicki Richesin began her career at Bloomsbury in London during the exciting days when J.K. Rowling was first discovered by the publisher. She has worked as a freelance editor for over fifteen years with many talented writers, as well as publishers such as Penguin Random House, Simon & Schuster, Seal Press, and Little, Brown. She edited four literary anthologies (The May Queen, Because I Love Her, What I Would Tell Her, and Crush) featuring essays by bestselling authors including Jennifer Weiner, Lauren Oliver, David Levithan, Karen Joy Fowler, Chris Bohjalian, Amy Greene, and Kaui Hart Hemmings. Nicki is especially interested in representing literary and upmarket fiction, young adult fiction, narrative nonfiction, and memoir. She is eager to discover authors writing about somewhat unconventional protagonists with an imaginative slant on storytelling. In young adult fiction, she has a particular fondness for coming-of-age stories that take a cue from classic literature. Nicki is drawn to memoir with a genuine voice that instantly connects with readers and takes them on a journey. She will always champion a story that investigates the true meaning of life, love, and identity. After many years of collaborating with hard-working authors, she enjoys nothing more than helping them realize their vision and telling everyone all about it. Kelli Martin began her book publishing career over twenty years ago. She started at Simon & Schuster and rose up the editorial ladder at HarperCollins, Harlequin, and Amazon Publishing. At Amazon Publishing, Kelli served as the launch editor and public face of Montlake Romance, and was Executive Editor at Lake Union. Throughout her editorial career, Kelli built a list of successful authors and breakout books in romance and commercial fiction. As an agent, Kelli is passionate about building the agency’s romance program, focusing on contemporary romance and romantic suspense, and is also excited to discover new talent in commercial women’s fiction, including love stories, romantic comedies, suspense fiction, family dramas, friendship dramas, beach reads, and women-coming-into-their-own stories. For Kelli, guiding writers, perfecting manuscripts and building a list of beloved books that satisfy publishing houses and readers are the loves of her life. 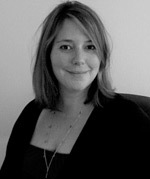 Jenny Meyer has been in the business of foreign rights since 1996. Founded in 2002, Jenny Meyer Literary Agency, Inc. represents UK and translation rights on behalf of a wide variety of U.S.-based literary agencies and authors. Jenny attends the major international bookfairs, selling direct in all territories which fosters a close working relationship with foreign publishers, thereby maximizing the potential of each project abroad.